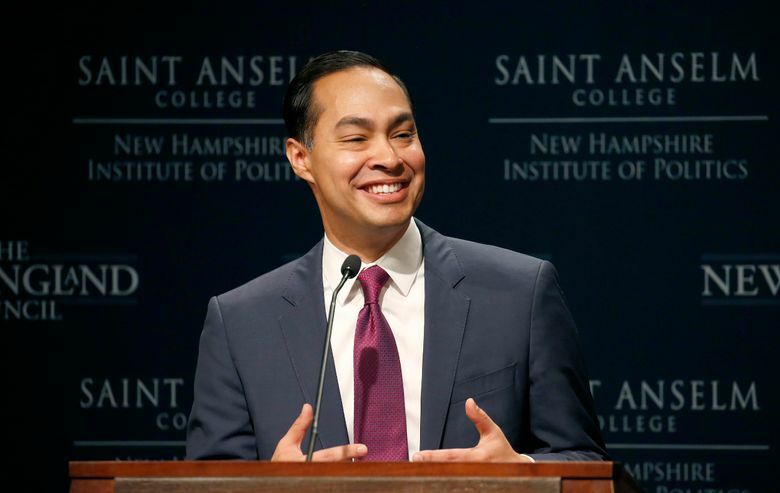 MANCHESTER, N.H. (AP) — Democrat Julian Castro, in the early primary state of New Hampshire for the first time as a presidential candidate, told voters on Wednesday that he believes “everyone counts” and accused the Trump administration of “picking and choosing” who has chances to succeed. 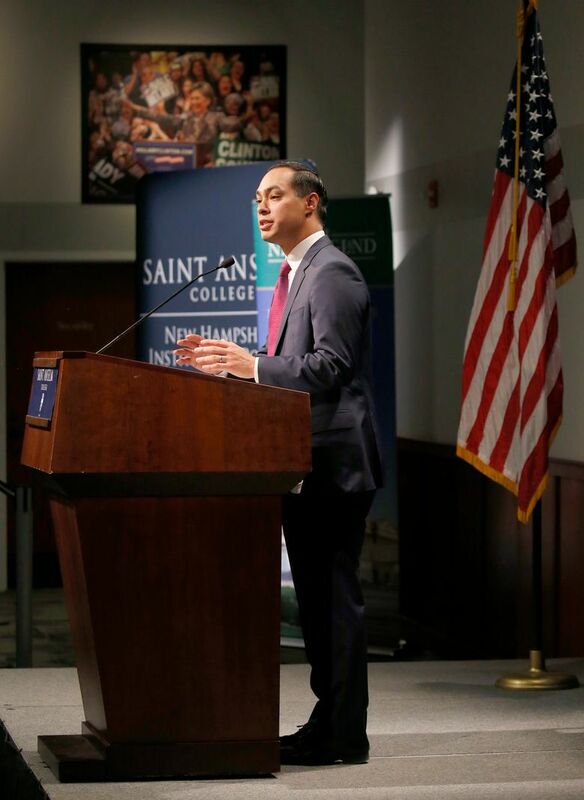 The 44-year-old former housing chief during the Obama administration spoke at the “Politics & Eggs” event at Saint Anselm College four days after he kicked off his campaign in his hometown of San Antonio. In between, he squeezed in a campaign trip to Puerto Rico. As San Antonio mayor, Castro pushed through a sales tax increase to pay for prekindergarten programs, an accomplishment he cited in New Hampshire, which has prided itself on having neither a sales nor income tax and has only recently begun providing significant state money for full-day kindergarten. Castro drew applause when he promised to enact universal preschool as president and said he would work toward tuition-free college degrees, apprenticeships and certificates. 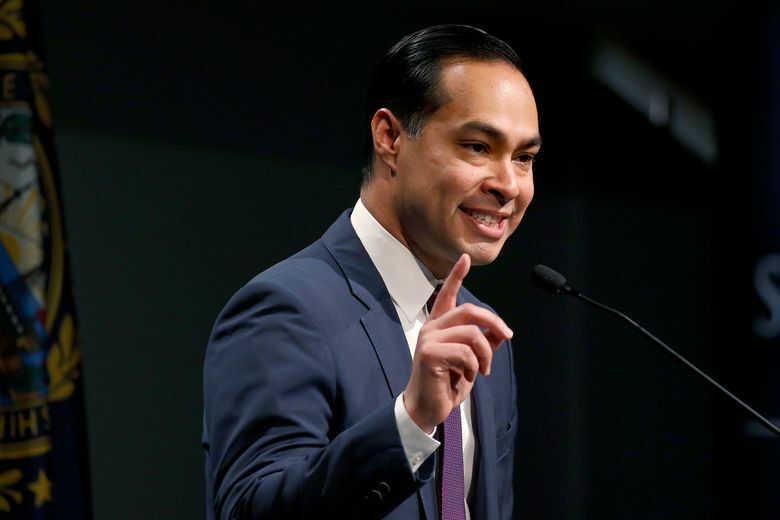 Castro expressed support for a higher minimum wage and a comprehensive immigration overhaul that includes a path to citizenship for those living in the country illegally. He also supports a Medicare-for-all health care system but offered no specifics when asked by an audience member how he would pay for it. He said those details would come later but probably would involve looking at how to reduce costs within the health care system. Castro later told reporters that he also will review tax provisions that benefit the wealthy and corporations. 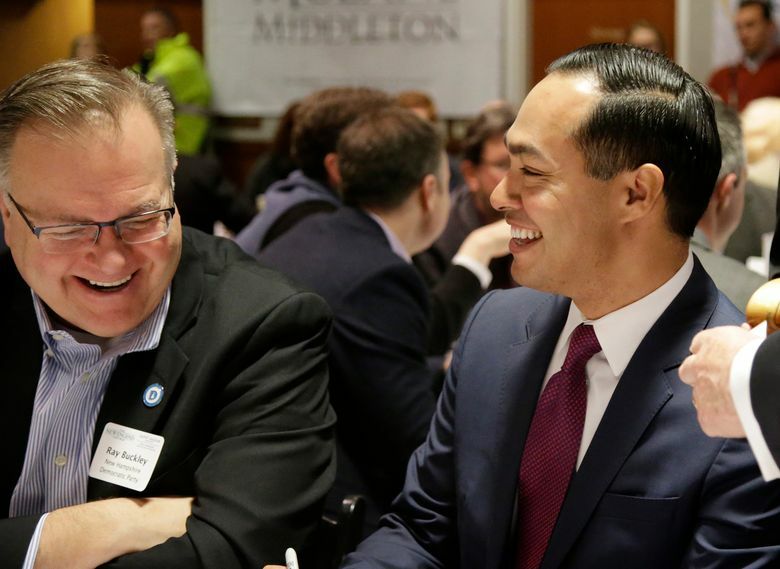 Castro is part of what is becoming a crowded field for the Democratic nomination. Sen. Kirsten Gillibrand of New York launched her exploratory committee Tuesday, and the field could grow to more than a dozen candidates. 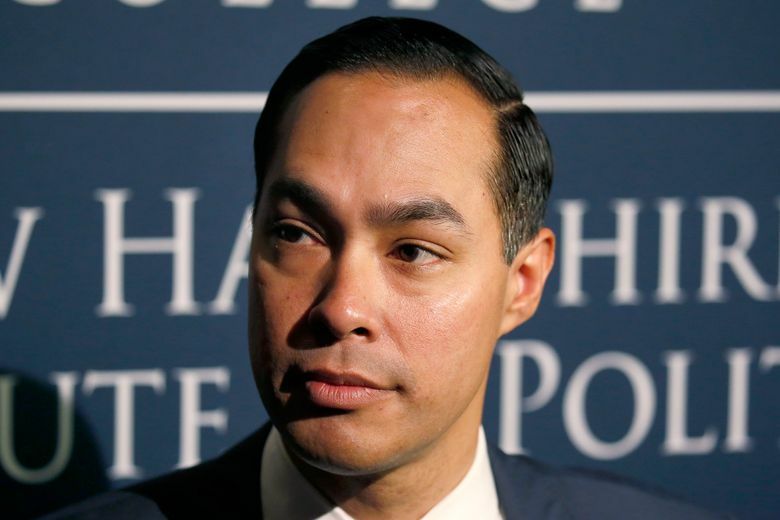 Castro, who could end up being the only Latino candidate, said he often gets asked whether he believes that largely white Iowa and New Hampshire should remain first in the nominating calendar. 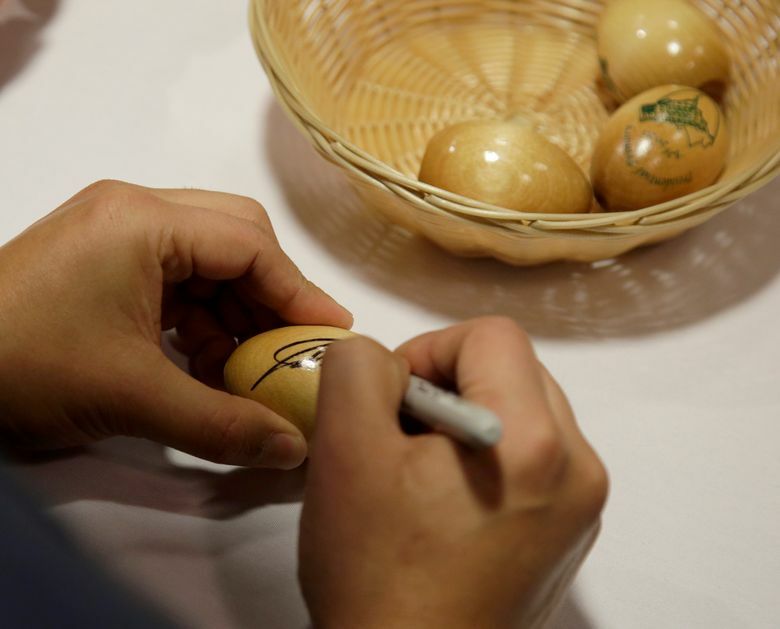 “Do I wish in the first two states we had more diversity in those states? Yeah, I do. However, the thing I do appreciate about Iowa and New Hampshire is that people take politics and policy very seriously, and these are relative small states as far as states go, so you can actually meet people one on one and get to know them,” he said. Castro later stopped by a few businesses in downtown Laconia and sat down with staff and volunteers at Navigating Recovery, which provides mentors to people recovering from drug addiction and helps them with housing, employment and other challenges. There, he spent more time asking questions about their work than introducing himself, saying he hopes the federal government will remain a strong partner in the state’s efforts to bring down one of the nation’s highest opioid overdose rates. Jim Ransom, a customer at a jewelry shop Castro visited, said he had seen the news of Castro’s announcement on TV but didn’t know anything about him. Castro got a much warmer welcome from Carlos Cardona, a Democratic candidate for the state Legislature and owner of a marketing firm. Cardona, who grew up in Puerto Rico and lives in Laconia, said he was impressed that Castro visited both during his first days as a candidate.